Nothing gives as much pleasure as a freshly baked, lovingly crafted loaf. We believe every person deserves to enjoy it every single day. A classic centrepiece. This seasonal sourdough is filled with pecans and cranberries, and pairs wonderfully with cooked meats or alongside your feast-closing cheeseboard. Perfect for sharing around your festive table. Made with our rye starter, dark rye flour, honey, molasses and crushed caraway seeds. 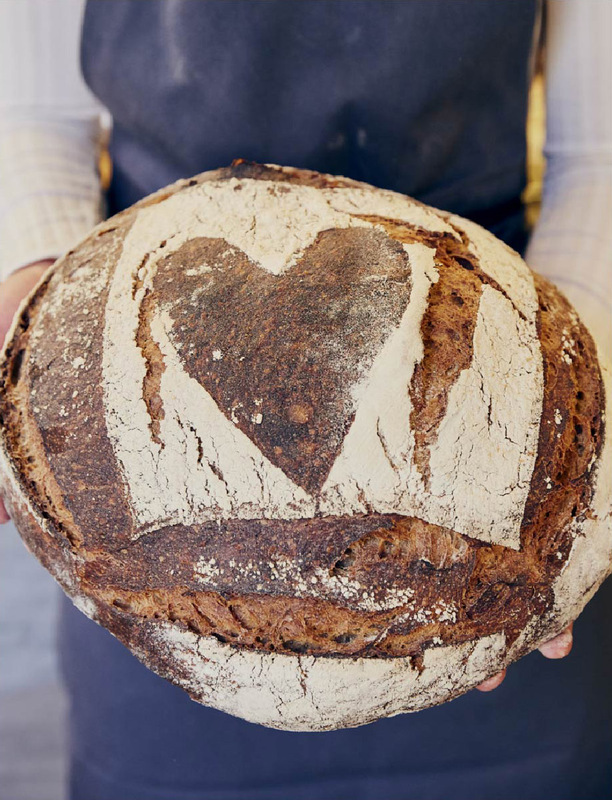 Our newest loaf, the Barley Porridge Sourdough is made using barley flakes that are introduced in the form of a porridge to achieve a soft, cakey and tacky texture.